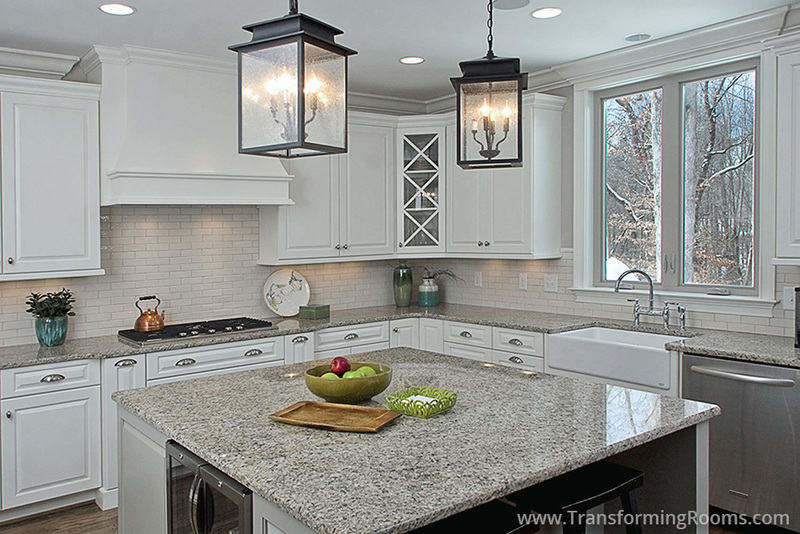 This white kitchen is stunning. We help homeowners insure that all the rooms flow, so that the entire house is cohesive. This kitchen has an extra large island, which is handy for preparing meals.